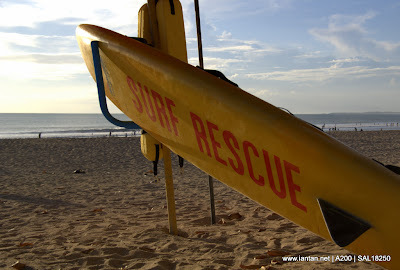 This posting has been long overdue and my apologies to those who wondered why my trip to Bali did not have any news on the famous Kuta Beach. Well, here it is, although limited. 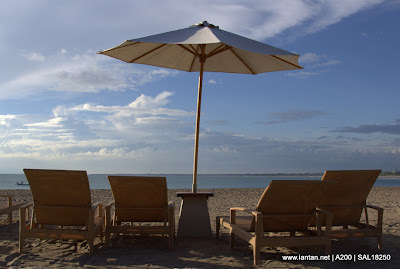 Kuta Beach as most of us know is kinda synonymous with Bali island. Most pictures and images in our head of Bali island is of Kuta Beach and I dare say that Kuta Beach is probably more well known than Denpasar! You can probably read about it from various sources, so I will just give my few cents worth of comments. 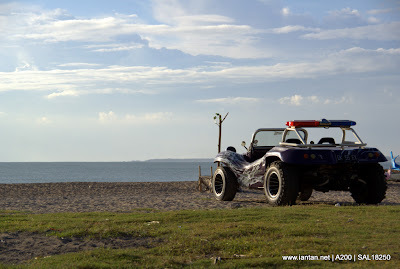 The first thing that struck me was that Kuta Beach is very near the main airport and is just a few minutes away. Hence transportation arranged by the Hotel just seemed very expensive. If you don’t have much luggage, you can probably literally walk from the airport to Kuta Beach (the southern end). As I was staying on the southern tip of Kuta Beach, there were less people on the beach and the hotel seem to have an unofficial (or is it official) private beach. The image of holidaying in the sun was there, especially if you wake up early enough in the morning to go to the beach. 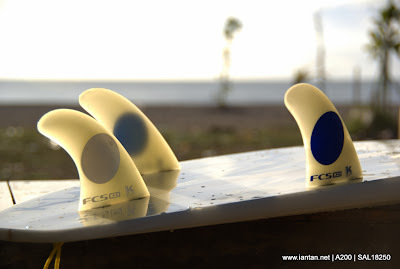 Will update more on other parts of Kuta in another post. Nearer Hard Rock Hotel and McDonalds, the beach is livelier where you will get locals as well as tourist mingling about with a beer in hand. 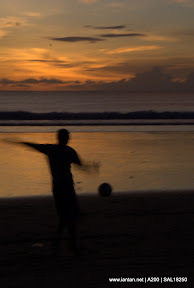 Evening soccer by the beach is common, in addition to surfing. 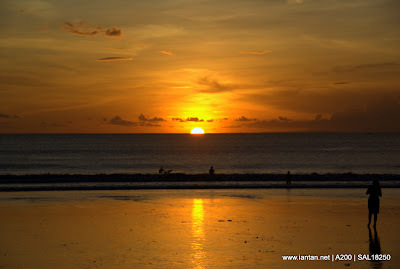 One of my favourite sunset shots on the main stretch of Kuta Beach. (Note: It is crowded, I just happen to be lucky enough to get a shot where there were only very few people). More on Bali island in the next few weeks … (I hope).